Shockwatch NZ offers a range of warehouse safety products that address specific safety concerns that occur on a daily basis. 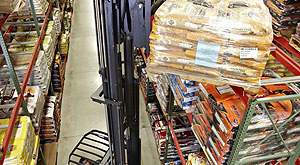 Forkhoist accidents and collisions can be avoided with visual and auditory alerts that notify forklift operators and pedestrians of an impending collision. “Safety zones” can be created within the warehouse with automated gates and alerts. Data collected by a TotalTrax enabled Smart Truck can be used to provide real time speed monitoring of every forklift within the warehouse, allow instant replay of forklift safety incidents, and provide historical reporting of forklift activities. The result – data collected improves safety for overall operations. By definition safe warehouses are more productive, more efficient and substantially more profitable. A wireless fleet management system which helps to boost safety while reducing damage-related costs. Hit-Not® is a precise detection system, giving pedestrians and forklift operators individual and unmistakable warnings when they are in danger.